The Kadu Kuruba live in Karnataka in India. They have lived in the forest regions. They speak in the Kannada language. In Kannada, Kadu means forest and Kuruba means tribal community. 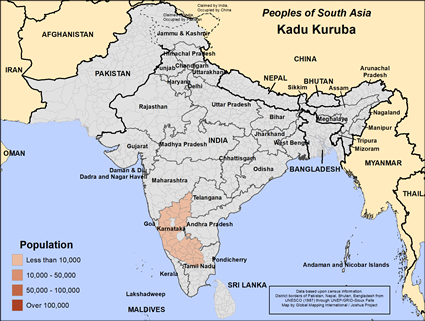 The Kadu Kuruba are Hindus. They worship their deity in a stone. They believe the stone nourishes the soil and the plants. Stone worship is linked to worshipping images of Shiva, a Hindu god. They worship ancestors also. In the past they were regarded as great soldiers and had kingdoms. In the early nineteen seventies they were evicted from the forests and made to live on the border. They have no case legally in having land to live on for themselves and are socially excluded from others. * Pray that their problems in society will lead the Kadu Kuruba to Jesus Christ. 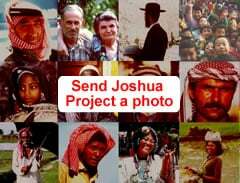 * Pray that Indian Christians will come to them in love. http://indianetzone.com/10/kadu_kuruba_tribe.htmView Kadu Kuruba in all countries.